The 2015 Jeep Cherokee is offered with four-cylinder or V-6 power. All models have a nine-speed automatic transmission. As a true off-roader, the Cherokee arguably competes with models like the Nissan Xterra and Toyota 4Runner in addition to crossovers like the Chevrolet Equinox and Subaru Outback. V-6-powered Cherokees now have fuel-saving stop-start technology. Trailhawk models can now have ventilated front seats, and Latitude trim levels get new cloth seat fabric. A tonneau cover is a stand-alone option, and the collision warning system now incorporates autonomous braking. Cherokee features a class-exclusive nine-speed automatic transmission and when mated to the new 2.4L MultiAir2® Tigershark I4 engine achieves a Best-in-Class driving range of up to 490 hwy miles on one tank. The new power-train improves fuel efficiency by 45% and features a new industry first disconnecting rear axle for maximum fuel efficiency while providing superior 4x4 performance. The Cherokee features leading capability with three innovative 4x4 systems. Get Best-in-Class capability with Cherokee Trailhawk and its standard Trail Rated Jeep Active Drive Lock 4x4 system with 4-Low and rear locker. The Jeep® Active Drive II 4x4 system with low-range is great for rock crawling and has a neutral mode for flat towing behind an RV. 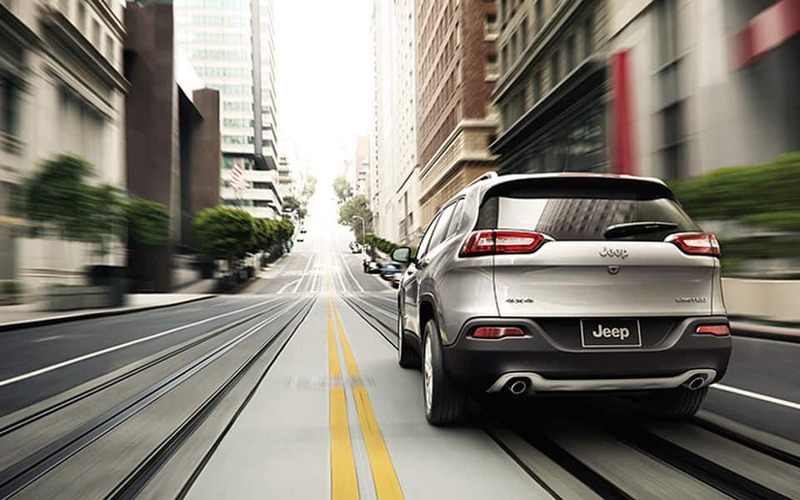 The Jeep Cherokee's sculpted and aerodynamic exterior makes a strong statement. The bold and fluid design is a game changer and is steeped in the Jeep brand heritage. 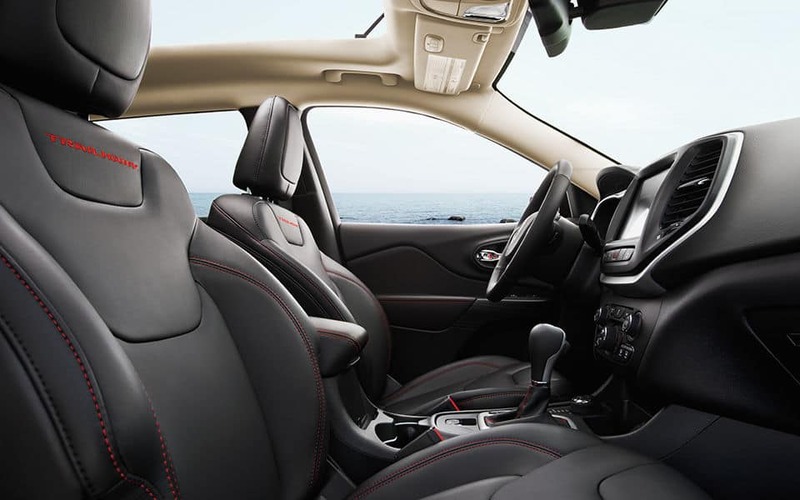 The interior is a sophisticated blend of hand-sculpted fluid shapes, innovative color, high-quality materials, precision craftsmanship, state-of-the-art technology and thoughtful, clever features. Its inspired design features state-of-the-art, high-tech features that are intuitive and easy-to-use. Whether it is to your trip to the backwoods or next gig, Cherokee delivers. Versatility is key with 60 / 40 split second row seats with fore / aft functionality. It also has a recline function for added comfort. Rear passengers will enjoy an added 2.2 inches of legroom compared to Liberty. The 2015 Jeep Cherokee has over 70 available Safety and Security features including: new Parallel and Perpendicular Park Assist, ParkSense front / rear Park Assist, Blind Spot Monitoring (BSM) and Cross Path Detection with dual radar sensors to monitor driver blind spots, standard 10 airbags with standard full-length side-curtain & side thorax airbags, new LaneSense Lane Departure Warning, and new Adaptive Cruise Control with Stop and Go. For more information on this model, feel free to give us a call! Learn more about this model on the Official Jeep Cherokee Website.